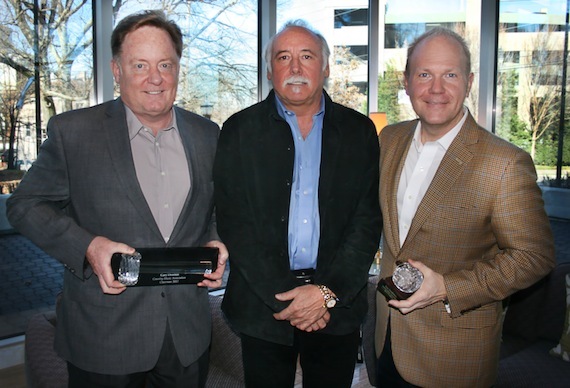 CMA Chief Executive Officer Steve Moore presented a crystal gavel to outgoing CMA Chairman Gary Overton (Sony Entertainment Nashville Chairman and Chief Executive Officer), and a crystal globe to incoming CMA Chairman Troy Tomlinson (President and Chief Executive Officer of Sony/ATV Music Publishing), to recognize their volunteer service to the CMA Board of Directors. The presentations were made during the annual CMA membership meeting in Nashville. Chris Keaton of Chris Keaton Presents recently signed new artist Emily Minor. North Carolina native Minor is currently touring the southeast in support of her self titled debut EP. Bob Saporiti, General Manager at Savannah Music Group, was the guest speaker during SOURCE’s monthly members luncheon. 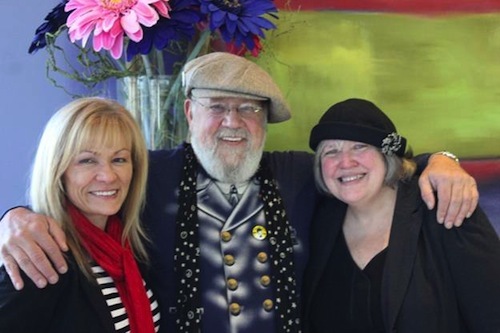 The event was held at ASCAP’s Nashville offices. SOURCE is a nonprofit invitation-only organization unifying women executives who work in all facets of the Nashville Music Industry.